London first hosted the Olympic Games in 1908. Originally slated to be held in Naples, it was later on decided to have London do the honors when Mount Vesuvius erupted in 1906. Funds for the Games were diverted to rehabilitating the city of Naples so a new venue was needed. Contenders were Berlin and Milan. In 1948, London again hosted the Games. World War II just ended and while Europe was still rebuilding its economies, it was decided that participants will bring in their own food, no new venue will be erected and that male athletes were housed at an army camp while women in dormitories. fought hard to have their city host the Olympic Games once again. The then Prime Minister Tony Blair called it a "momentous day" for Britain when the International Olympic Committee finally announced that London will be the site for the 2012 Games. The man responsible for the campaign to have London host the Olympic Games again is Lord Sebastian Coe. In December 2003, Prime Minister Tony Blair makes an allusion about London's bid in a sports breakfast he hosted in Nigeria. The IOC prohibits any promotion of bids before official announcements of the final candidature of cities. In 2003, nine cities including London submitted their respective bids to host the Olympic Games in 2012. Early favorites were Madrid and staunch rival, Paris. The other bidders were Havana, Liepzig, Istanbul, Rio de Janeiro, Moscow and New York City. It is said that the bid for the 2012 Olympic Games was most hotly contested in the history of the IOC. The next year, May of 2004, the top five cities were listed after careful technical evaluation. Havana, Liepzig, Istanbul and Rio de Janeiro were eliminated. In 2005, the IOC Evaluation Commission, consisting of 12 members, visited the five bidding cities. Although the March 9-12 visit to Paris experienced setbacks, namely a massive transport strike and a Paris bid team's Guy Drut faced charges of corruption. In spite of this, a couple of months after the visit, it was reported that Paris came out the most positive among the candidates, followed closely by London. 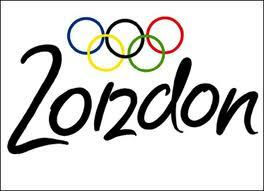 On July 6, 2005, the IOC announced that London will host the 2012 Olympic Games. It beat Paris by four points, 54 votes to 50 after Moscow, Madrid and New York were eliminated. The three were eliminated after the first three rounds and were allowed to vote in the next round. London led in the first, third and final rounds of voting. After London was voted to be the venue for the 2012 Olympic Games, speculations came out about Paris's loss on a slim margin. Then French President Jacques Chirac made comments that "the only worse food than British food is Finnish." There were two IOC members from Finland voting on the final ballot. While we will never know if the comment on London's cuisine sealed the fate, it's making us curious what sort of food will be available in the Athlete's Village. Especially near the French's lodgings. Watch The Olympic Games on the 27th July 2012 in London, England, United Kingdom. Visit the London Olympics 2012 Live Stream Blog.